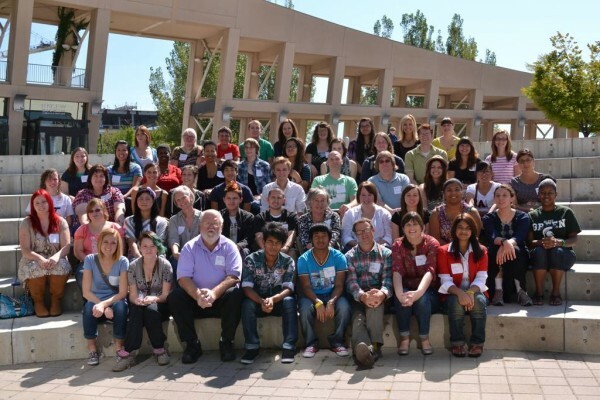 In 2010, the Salt Lake Community College Community Writing Center (SLCC CWC) partnered with the Salt Lake City Public Library to create “Salt Lake Girls Write”—a mentoring program that paired underserved girls with women who used writing in their daily lives or professions. More information about becoming a mentor can be found by contacting the SLCC CWC at (801)-957-2192 or by email at cwc@slcc.edu. “Salt Lake Girls Write” has evolved into “Salt Lake Teens Write” (SLTW). The program now focuses on underserved girls and boys from the Salt Lake valley who wish to improve their writing abilities. There are currently thirty-two teens that are signed up for the program, and five male mentors are needed. “The people who are in the program benefit in ways they couldn’t have possibly anticipated. I feel like it transforms them and helps them see the world in a different way,” says Elisa Stone, associate director of SLCC CWC. The requirements for mentors are minimal. They need to use writing in their daily lives and pass a background check that is conducted through the state of Utah. Stone says that SLTW doesn’t have an elitist view of writing and that they look for people who like to write, whether it’s for a living or not. Working together, teens and mentors explore different genres that the teens finds interesting. There are three workshops that take place throughout the year. The first is focused on college scholarships and essays, and the two remaining are based off of the teens’ interest. Mentors and teens meet for one hour a week in a public place such as a library, café or coffee shop. The mentor is not allowed to drive the teen anywhere. Although being a mentor seems like a big commitment, Stone says that she sees mentors return year after year, and those involved with the program find it rewarding. Upon the completion of the teen’s first year, he or she has a portfolio of writing. The mentoring teams collaborate on an anthology and a publication party where teens and mentors celebrate all that they have accomplished throughout the year. Teens enter into the program during their junior year, and are invited back as seniors; some choose to come back as mentors upon graduation. In 2012, SLTW won an “Innovation of the Year” award through SLCC. The award is nationally recognized, and members from the program were invited to a national innovation conference in Dallas, Texas, where they shared information about the program with colleges across the nation. SLTW will kick off on Sept 14. Mentors who are accepted will be trained the week before, where they are taught the philosophy of the SLCC CWC, strategies that can guide a writer through their writing process and how to maintain a healthy relationship with his or her mentee. “It is one of the beautiful compensations of this life that no man can sincerely try to help another without helping himself.” This quote by Emerson is one that Stone relates to the experience of becoming a mentor. She encourages adults who are interested to apply as soon as possible.